Wind down the day with specially formulated nighttime cleansing support. Super Colon Cleanse with an added night time formulation. Ingredients such; Echinacea, Passion Flower and Valerian may help with nighttime relaxation. Relax your mind, while cleansing your digestive system. Adults: take 3 capsules every night 30-60 minutes before bedtime with at least 10-20 ounces of water, juice or your favorite beverage. Not recommended for children. 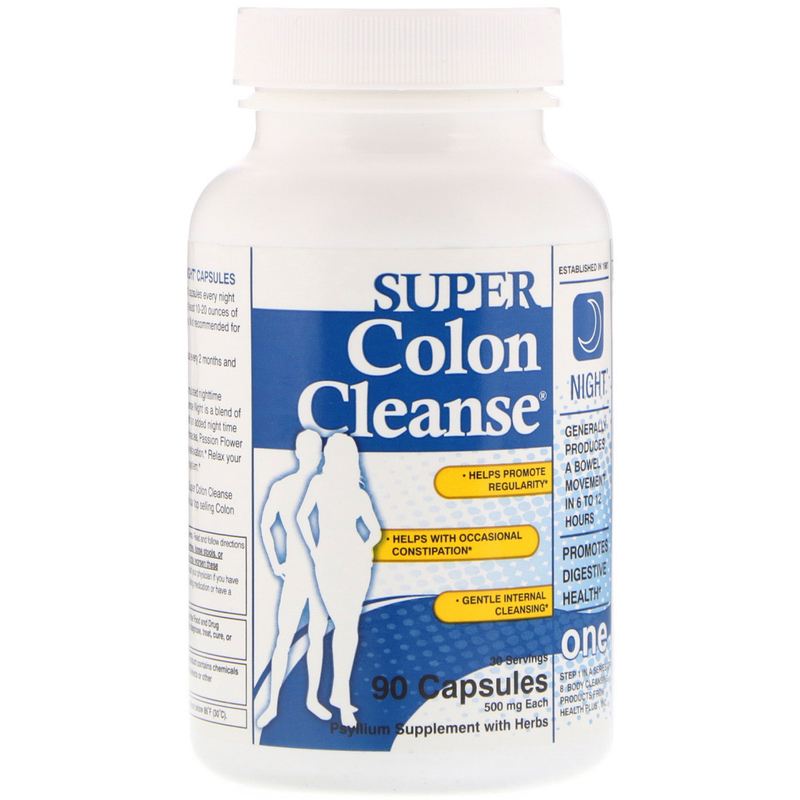 Use Super Colon Cleanse Night about every 2 months and for no more than 10 days at a time. 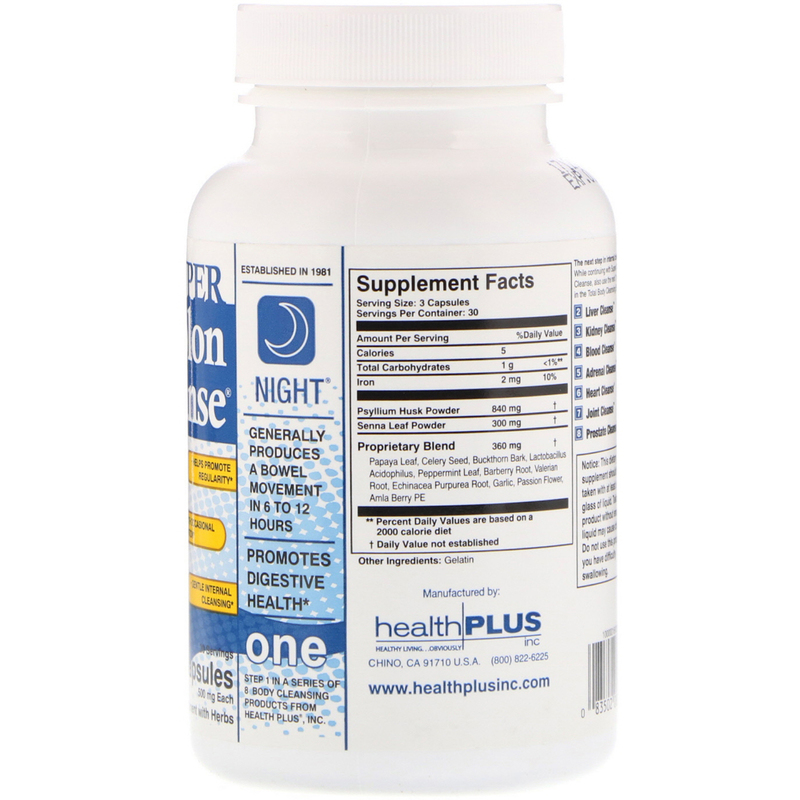 Suggested use for better results: Super Colon Cleanse Night may be taken alternatively with our top selling Colon Cleanse Original. Notice: This product contains buckthorn and senna. Read and follow directions carefully. Do not use if you have develop diarrhea, loose stools, or abdominal pain because buckthorn and senna may worsens these conditions and be harmful to your health. Consult your physician if you have frequent diarrhea or if you are pregnant, nursing, taking medication or have a medical condition. For California Residents Only. Warning: This product contains chemical known to the State of California to cause birth defects or other reproductive harm.